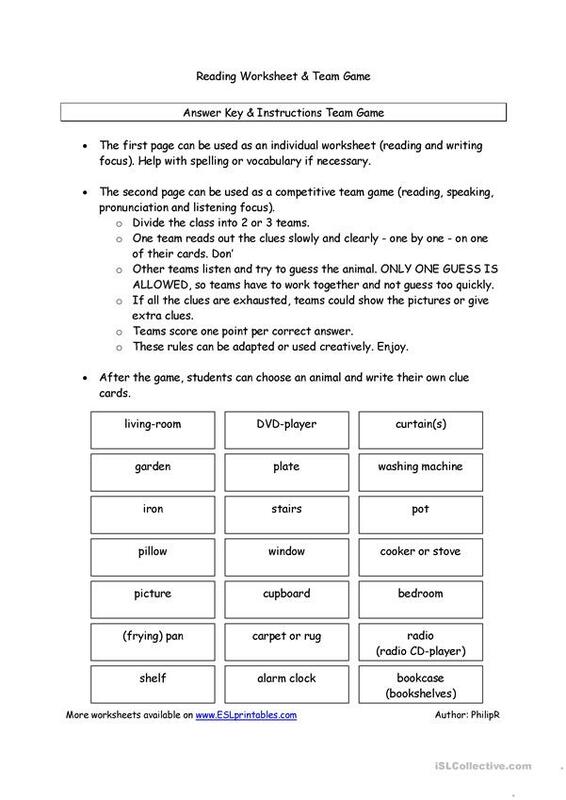 This worksheet can either be used as an individual or team reading exercise (page 1) or as a team game (page 2). It contains easy vocabulary and is suitable for (pre-) intermediate students (theme: things found in the house). As an extension, you can even make it into a writing lesson which students will surely enjoy. Full instructions provided on page 3. Have fun. The present downloadable teaching material is recommended for business/professional students, high school students, elementary school students and adults at Elementary (A1), Pre-intermediate (A2), Intermediate (B1) and Upper-intermediate (B2) level. 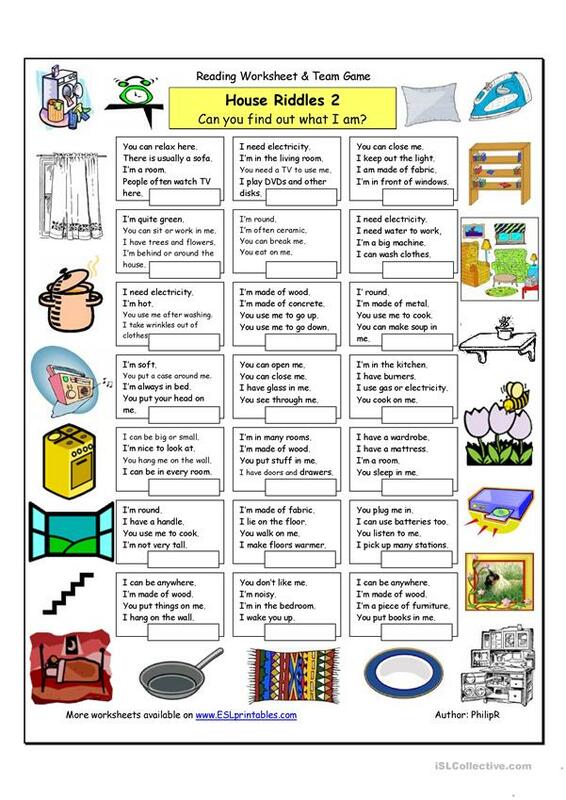 It is excellent for enhancing your students' Listening, Speaking and Reading skills. 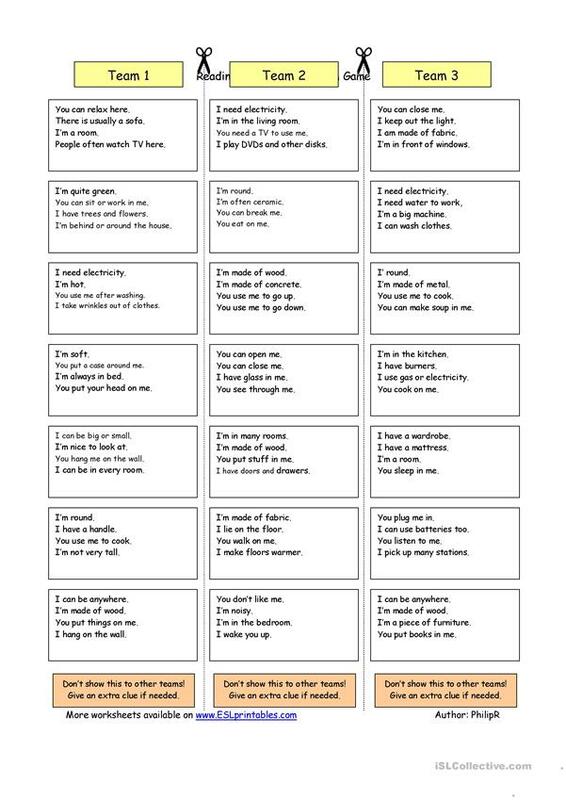 It is focused on the vocabulary topic of Home. You will find the answers at the end of the worksheet.